The Family Planning program provides individuals with the ability to decide if they want to have children and if so, how many and how far apart they want to space them. A broad range of effective family planning birth control methods and services are available, including contraception, gynecological exams, infertility education, natural family planning, counseling, and family planning education for adults and teens. Costs for services are based on a sliding scale and some insurance plans are accepted. The Immunizations program reduces the morbidity and mortality associated with vaccine preventable diseases. Vaccines are provided to adults and children following the guidelines set forth by the Advisory Committee in Immunization Practices. 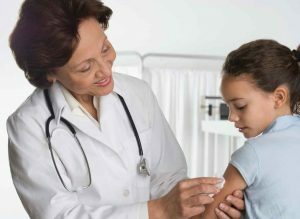 The Roanoke City Health District is a participant in the Virginia Vaccines for Children program and provide vaccines required by the school system to children through age 18 at no charge. The Roanoke City Health District is also a participant in the Virginia Immunization Information System, which allows the sharing of immunization information with other providers. Local health departments collect data annually by conducting a random sampling of immunization records in daycares and schools. In addition to on-site immunization clinics, the immunization team provides many off-site community vaccination opportunities for flu, pneumonia, Tdap and school vaccines. To do this, the Roanoke City Health District collaborates with a variety of community members and holds events across the community including at schools, local businesses, churches, local malls, community-based agencies, health fairs and housing developments. The Roanoke City and Alleghany Health Districts provide laboratory services. The laboratory’s mission is to provide or assist their customers in accessing professional, affordable, quality laboratory services. It provides medical laboratory support to Roanoke City and Alleghany Health Districts clinics. 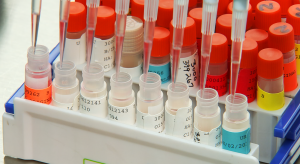 The Roanoke City Health Department also provides a Laboratory Only Program for individuals in need, but who are not health department patients. Both Roanoke City and Alleghany Health District labs are certified as Provider-performed Microscopy Procedures (PMP). Lab Only Services: People from the community can access lab services if they have a doctor’s order for lab work and meet eligibility requirements. Please call (540) 283-5050 for an appointment. Eligibility determination is required initially and repeated annually, therefore, the patient or guardian will be required to bring proof of income to the first appointment. Families/individuals with income levels below 167 % of the poverty level are eligible for this service. Lab work will only be done at the Roanoke City Health Department by appointment only. Appointments are limited. This service is for routine lab work and not for emergency or stat work. Patients must provide a physician’s order which includes the appropriate diagnosis codes each time testing is done. Any phone orders must be followed by written confirmation within 24 hours. A medical release will be signed by the patient or guardian in order that reports may be sent to their physician. We will need diagnostic codes on the order form. Fees will be charged for each test. A venipuncture fee and a handling fee will be charged on a sliding scale as applicable. Payment must be made before specimens are obtained unless it is to be billed to Medicare or Medicaid. Either a current Medicare, Medicaid card or private insurance is required. The Newcomer Health Program provides an initial health screening to newly arrived refugees and other qualified individuals, addresses health issues that may impact successful resettlement, and identifies and intervenes on diseases and conditions of public health concern. Within 45 days of their arrival, newcomers from around the world receive all necessary immunizations, a general health screening, a mental health screening and follow-up referrals for any issues identified. Clients are offered full family planning services and encouraged to establish a medical home in the area. The program works with all refugees sponsored by the refugee resettlement agency, Commonwealth Catholic Charities. The Sexually Transmitted Infections (STIs) program aims to prevent the spread of sexually transmitted infections through education, outreach and clinical services. STI clinics offer counseling, testing, treatment, and partner referral services for patients at risk of or currently experiencing STIs. The TB Management program aims to control, prevent and eliminate tuberculosis in the community. The program offers free and confidential TB risk assessment screenings on Mondays by appointment only. For those diagnosed with TB or a Latent TB Infection, the TB team collaborates with a patient’s medical provider to provide tuberculosis case management to include the provision of medication and care coordination. In addition, the TB team assists with identifying associated cases, the testing of contacts, transportation for CXRs and home visits to deliver medication to perform Directly Observed Therapy (DOT) and Directly Observed Preventative Therapy (DOPT).